We need to show our anger about greedy corporates depriving our public services of investment. Last night I heard from my local councillors the extent to which the next round of spending cuts will impact on council services. Austerity measures mean that local authorities will see a 40 per cent reduction in their funding between 2010 and 2015. There is no slack in the system and the quality of services such as care for the elderly and vulnerable has already suffered. Yet as the Guardian’s Luxembourg Files showed last week, there is money to pay for these public services. But it is being stolen, through elaborate systems of tax avoidance. Billions of pounds that should be being used to pay for public services are being syphoned out of the UK. It is something that should make us very angry. The Luxembourg Files are the work of a team of investigative journalists under the auspices of the International Consortium of Investigative Journalists. The publication is timely, as G20 leaders are due to discuss measures to crack down on corporate tax avoidance on 15 of November. The ICIJ investigation highlighted the system of profit-shifting and fake loans that are made to subsidiary companies in Luxembourg, one of a number of tax havens that are used in these elaborate tax avoidance schemes. Put simply, these companies shift their profits from the countries where they generate their income to fake subsidiaries in low – and zero – tax jurisdictions where little or no business activities are undertaken. Action Aid has published a database of FTSE 100 company use of subsidiaries in tax havens, which highlights the large-scale use of this tactic. The tax evasion activities of Amazon and Vodafone have received media coverage, but the Luxembourg Files and Action Aid data show that many other well-known household names are engaged in this practice: Eon, GlaxoSmithKline, Dyson, Burberry, Aviva, Prudential, HSBC, McGraw Hill and surprisingly, the Guardian Media Group. These tax evasion schemes are often put in place by the Big Four accountancy firms: PWC, Ernst and Young, KPMG and Deloitte. Estimates vary, but some suggest that £120 billion of tax revenues may be lost to the UK Exchequer, money that should be used to fund schools, the NHS, social housing, police and vital infrastructure. It is not just in the UK that this happens, but in many developing countries where profit-shifting and transfer pricing deprives these countries of much need funding for educational and basic healthcare. It is for this reason that aid and development NGOs such as Oxfam and Action Aid are interested in tax justice. It is largely big business that engages in these complicated tax dodging schemes; small and medium size enterprises usually cannot afford the services of accountants and lawyers to set them up. Smaller or UK-based enterprises are thus disadvantaged in competing with big transnational companies. Not only do vital services suffer, but this industrial-scale tax avoidance undermines public support for tax laws and weakens tax compliance. Where transnational companies avoid paying tax, ordinary citizens must pay a greater share of it, a dynamic that contributes towards inequality. We can hardly expect ordinary citizens and small businesses to support tax regimes, if the rich clearly do not. Left Foot Forward has covered tax avoidance over the last year, and advanced some solutions. The blog has also examined Labour’s taxation policy. Many of these solutions on its pages are technical and tax policy can often seem like an eternal struggle between clever (but under-resourced) civil servants at HMRC, complicated tax rules and equally clever corporate accountants and lawyers. Perhaps instead we need a cultural shift in the way that we view taxation. It is notable that there is much greater public support for taxation in Scandinavian countries, where income tax rates are much higher. Tolerance for legal tax avoidance is also lower. Public support for taxation means that the tax agencies of these countries are sufficiently resourced and that politicians initiate the action that is needed to tackle tax dodging. How has this been achieved? First of all, narratives from political leaders link their high quality public services to the payment of taxes. It is an open debate that politicians do not skirt. In this way, Swedish citizens see the benefits of taxation. The Swedish Tax Agency is also customer friendly and seen as being fair in its enforcement activities. We need progressive politicians in Britain to talk about tax, too, something that so far seems taboo as parties vie with each other to cut it. We also need to show our MPs and MEPs that there is strong public support for action against tax dodging. We need to get angry that greedy corporates are depriving our public services of the investment they need. No doubt you will be pressing the Guardian and Tony Blair to reject these tax avoidance schemes and pay teh tax avoided and Labour to repay PWC the £650k . Until that is done. the smell of hypocrisy is going to linger..
Ah yes, make “examples” everyone not on the right. The UK controls many of the world’s tax havens, and we need to take action on shutting them down. Yes, some would need some ongoing subsidies, but it’d still be cheaper to us in the mid to long term. We need to replace the lost money with local currencies. We need to set up a nationwide network of regional currencies to do this. The best book I know of on the subject is ‘People Money’ by, among others, the late Margrit Kennedy. I suggest all interested and concerned parties read it. More and more taxes. That’s the typical Labour way. We need to be cutting taxes, not putting them up. Are you aware of the New Economics Foundation’s work on this, and in setting up local currencies in the UK? Your problem now is that you’re likely to get deflation. I know of NEF, yes, thanks. More power to them. Defending tax avoiders, typical of you Wolfman. Income tax is only 25 per cent of tax from people to government. sin taxes (tobacco, alcohol and motiring) and VAT. The poor pay more stealth indirect taxes, sin taxes and VAT as a percentage of thier ever scarcer money, than any other income level. Benefit sanctions have risen nearly 70 per cent as has starvation since 2010. The state pension is the lowest of all rich nations bar poor Mexico. The state pension has not bee paid to women turning 60 from 2013 and expected to survive for 6 years without that vital food and fuel money. will get nil state pension for life, when sole food money in old age. The poor have had a far higher inflation rate of energy bills and food prices than any other income level. The bulk of the people going to food banks are in work. The rise in employment is only a rise of the working poor in number, losing benefits ever more. instead of the total losses due as above. Where have I said I defended you, Dave/LB? I did NOT say “make examples”. I just outliined the fallacy of a policy based on “don’t do what I do, do as I say”. But if you think that’s all right.. continue being a hypocrite. There are lots of them. Your knowledge of this is minescule, and you ignored (of course) the other tax havens the UK controls. You seem to think I support Labour, as always, when I am NOT a right winger. I don’t think you support Labour. Where do I say that? I just think you are wrong.. 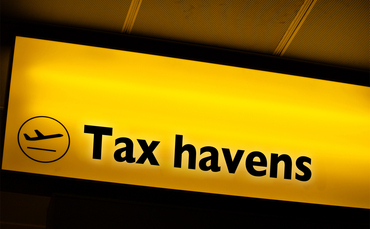 The only way to stop tax havens is to prevent companies and individuals using them. Change the laws. That means you need the agreement of other countries otherwise companies and people walk away. See Hollande’s 75% tax rate which has been an abject failure as it has driven the French top eaners overseas. So you don’t think, right. And of course you think the UK need to “agree” things when we control tax havens (so you’re arguing against taking action), as you talk myths about France as usual. You didn’t pay tax anyway, and you left your business there. That’s what the statistics say – France rid itself of some leeches (and now you’re here, bah). France’s problems lie elsewhere. You are doing your best to argue that closing a few tax havens is going to stop people using other ones. I reiterate: if you want to stop tax havens being used , then you need the world to agree with you. After all, Luxembourg has just set up a number of schemes – which are perfectly legal..http://www.cnbc.com/id/102180534#. Pity the money for the Green manifesto will result in much higher taxes for everyone.. Yes, your illogical argument that tax havens should be left alone is just that. You are arguing that be no tax charged because one person does not agree with tax. Luxembourg is being investigated by the EU. And you seem to think I support neoliberals like Brown. Or rather, you’re still not thinking, just copypastering. Yes, you refused to say what you’d really do. You can now lie about it all you like, and I don’t support you and your whining, and don’t support the right wingers you’re whining about. Energy bills are not a tax. I’ve paid tax all my life.. I never said “leave teh tax havens alone”.. as you well know. I said you need to persuade the world to close down tax havens..Because if you close down a few, people will go the ones left. I did not say that no tax should be charged because one person disagreed. I am sorry you don’t understand that many tax avoidance schemes are legitimate and recently put in place. You really can’t argue very well. Deliberately misquoting people is just signs of an inability to answer the points I have made. Here it is in simple English: People will use any tax haven if it works. To stop them using tax havens you need to close them all. Thanks for admitting you’re lying. As you once more in the next sentence say that the UK does not, in fact, control it’s British Overseas Territories, and ignore the fact that a few non-compliant regimes would be easier to handle. Thanks for admitting I argue far better than you, as you mis-quote me, and you argue very very strongly as usual for not doing a single thing about tax havens (because you support and use them, of course). Children don’t pay tax, for example…you really are a null. Any fool knows that VAT is levied on sweets. Why don’t they vote? Why is it “what have they ever done for me?” when you are canvassing them. Many of them are not even registered to vote. If ever there was a class of people who deliberately failed to use what little power they have (and the African Americans in the US proved the effectiveness of the vote) it is the European working class. Their inability to identify their own interest makes most left wing politicians despair.